The Nürburgring in Germany is where carmakers go to test the potential of their high-performance models on a lap of the circuit. Ford has done something a little different – using a custom one-seat vehicle to specifically test their 1.0-litre EcoBoost engine. The resulting lap time is one of the fastest ever recorded. It would be impressive enough for a 1.0-litre engine to achieve such a feat. Doing so in a completely tailored vehicle adds to the achievement. Months of work and development leading up to the lap focused on making the engine as powerful as possible. The Formula Ford model made for the test is completely road legal. Adding wing mirrors, a horn, lights, legal tread tyres, a handbrake and indicators to the design ensured the required level of safety. In total, it weighs just 495kg. The lightweight built gives the engine more opportunity to shine. Using the EcoBoost engine to such effect shows the future potential of sports cars from Ford and for motorsports in general. The one-of-a-kind Formula Ford has been described as 'bonkers', and will not enter full production. Even so, it represents what could be possible from smaller, more efficient engines. With a final time of seven minutes and 22 seconds, the engine made the Formula Ford 11th-fastest to complete the Nürburgring. It beats the times set by the Pagani Zonda, Ferrari Enzo and Lamborghini Aventador – supercars with 600bhp or more. No car powered by a three-cylinder or four-cylinder engine has posted a faster time than the EcoBoost. A specially-tuned three-cylinder turbo version of the engine was used, carried over from the Ford Focus. In the road car it produces 123bhp, and this increased to 202bhp for the lap. The Formula Ford took only four seconds to accelerate from 0-60mph. Autocar has reviewed the vehicle, claiming that it will achieve as much as 118mpg. The same review mentions the model's precise steering and strong torque. UK drivers can feel the power and efficiency of EcoBoost technology in numerous cars, including the Mondeo and Fiesta. In 2014, one in five all-new Ford cars sold in Europe were fitted with EcoBoost engines so many of our used Ford cars for sale are equipped with the award winning EcoBoost engine. This clever engineering will also be coming to the new Ford GT supercar, and to the Ford Mustang. The 1.0-litre engine is a multiple 'International Engine of the Year' winner – the only one to win three times in a row. Altogether, it has received eight awards in just four years. 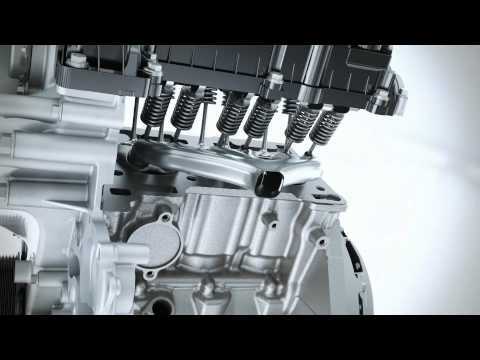 Ford designed the engine in the UK, with road tests taking place at their European Innovation and Research Centre in Germany. The Ford 1.0-litre EcoBoost engine is an option with several models in the new Ford range. You can find them all at Birchwood Ford in Hastings, Eastbourne and Halland. Book a test drive to discover the advantages of both the engine and any new Ford car.